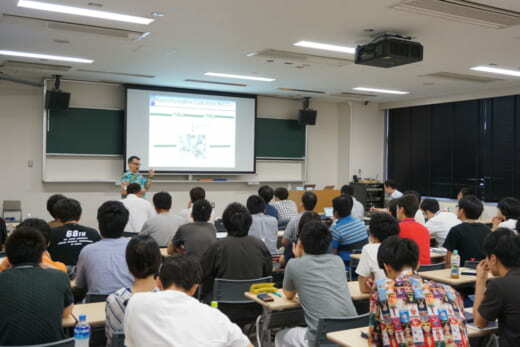 On July 23, NanoLSI held the Open Seminar with CHOZEN Project of Kanazawa University. Approximately 63 researchers and students participated. 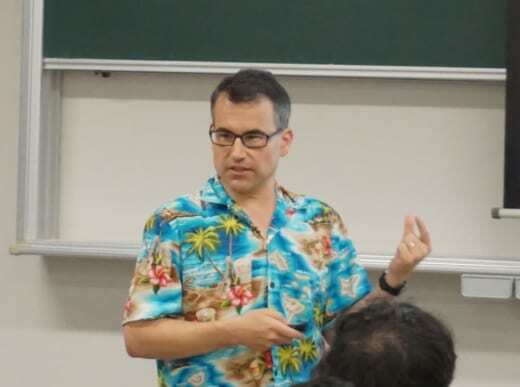 During the seminar, Dr. Mark MacLachlan from University of British Columbia, Canada, presented “Self-Assembly of Cellulose Nanocrystals: From Tactoids to Films.” The participants had lively question-and-answer sessions and discussion with him.